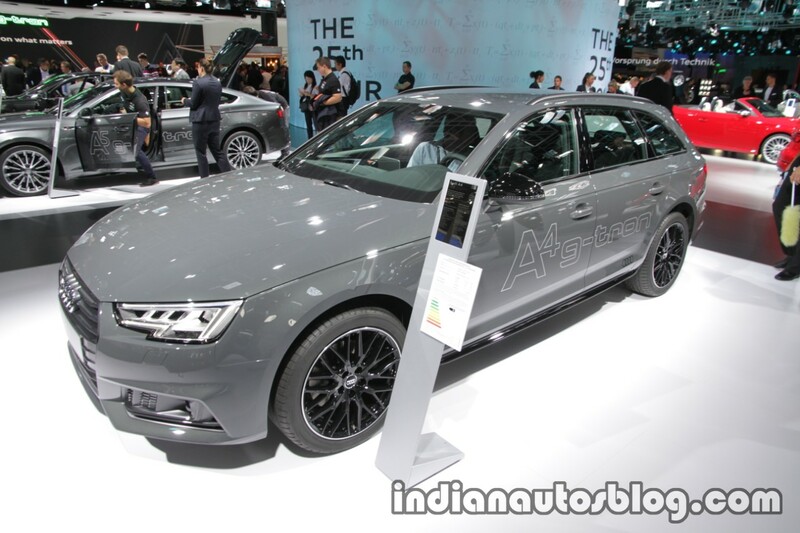 Audi is displaying the Audi A4 Avant G-Tron at the 2017 Frankfurt Motor Show. Here are the eco-friendly estate’s live images from the event. 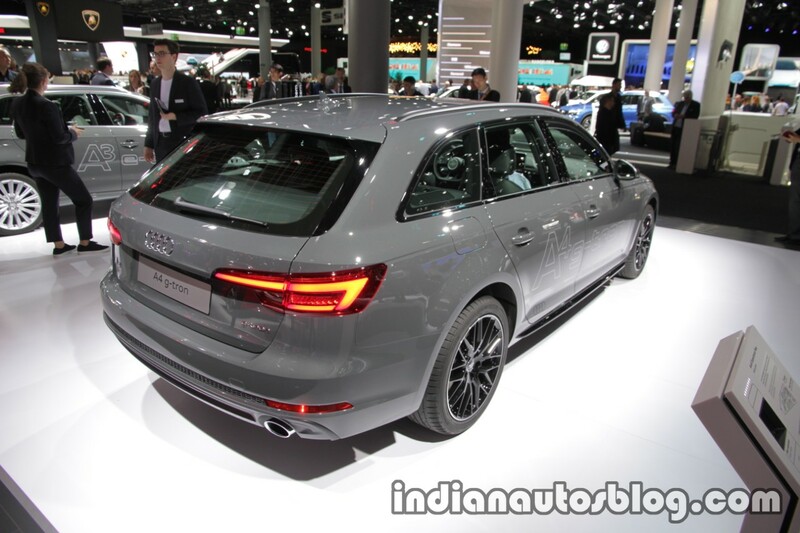 The Audi A4 Avant G-Tron features a Bi-fuel 2.0 litre TFSI engine with an innovative combustion process. The pistons and valves have been specially modified for gas operation and allow for an optimal compression ratio. The powerplant makes 170 PS and 270 Nm of torque. The vehicle returns 26.3 km per kg of CNG with S-tronic in the New European Driving Cycle (NEDC). In petrol operation, the fuel efficiency is 18.5 km/l. The total range stands at 950 km, of which up to 500 km can be covered in CNG mode. In conjunction with the manual six-speed transmission, the Audi A4 Avant G-Tron accelerates from a standstill to 100 km/h (62.1 mph) in just 8.5 seconds. Its top speed is 223 km/h (138.6 mph). The car is especially eco-friendly when running on Audi e-gas. This is the first virtually CO2-neutral long-distance mobility the company has offered. Audi and its partners produce the fuel using renewable energies, water and CO2 or from waste materials like straw and plant clippings. The resulting synthetic methane (Audi e-gas) is fed into the European gas grid and compensates for the volume of natural gas used by the G-Tron model in the NEDC cycle. Audi will supply Audi e-gas for three years for all customers ordering the Audi A4 g-tron model by May 31, 2018. Price for the car starts from €40,300 in Germany.